Bandits Ranch, Blog of Author Diane J. Reed: HALLOWEEN GIVEAWAY for Bandits Hollow, My Spooky Time Travel Romance! HALLOWEEN GIVEAWAY for Bandits Hollow, My Spooky Time Travel Romance! 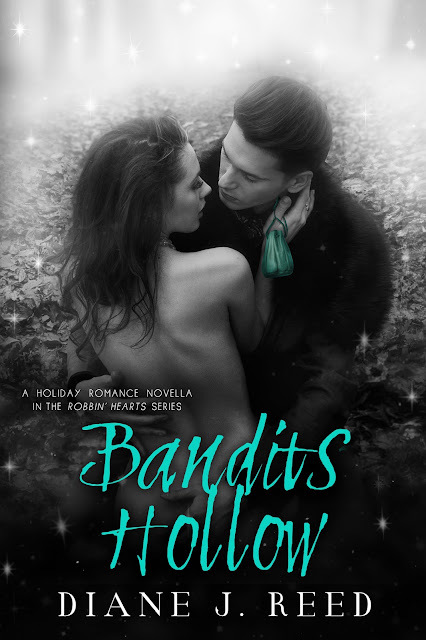 Bandits Hollow is here for only .99 cents! Just in time for Halloween—my spooky, time travel romance Bandits Hollow! 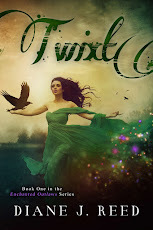 This magical novella can be read in any order in the Robbin' Hearts Series and details the secrets behind Evangeline Tinker's love life (many of you know her as Granny Tinker from my bestselling novel Robin in the Hood). In this novella, renowned fortune teller Evangeline learns that the love her life, Virgil Hollow, has traversed through time to find her, and she's petrified of the consequences due to his epic hold upon her heart. But add a touch of magic, and the sparks between them are bound to ignite.... (to read an excerpt from this novella, go to my "Sneak Peek" page or click here). So what am I giving away for Halloween? AMAZON GIFT CARD card for $30! If you haven't already done so, please sign up for my newsletter by entering your email address in the newsletter sign-up box on the right side column of my website (don't worry— I never spam!). That's all there is to it—I'll notify the 3 winners of psychic readings by random drawing on October 31st along with the winner of the Amazon gift card for $30! Can true love rekindle despite the weight of centuries? Already a subscriber. LOVE this series! Congrats on your release!